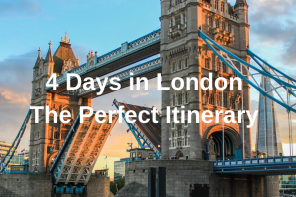 1.1 Our comprehensive guide on what to see, what to do, where to eat and where to stay. 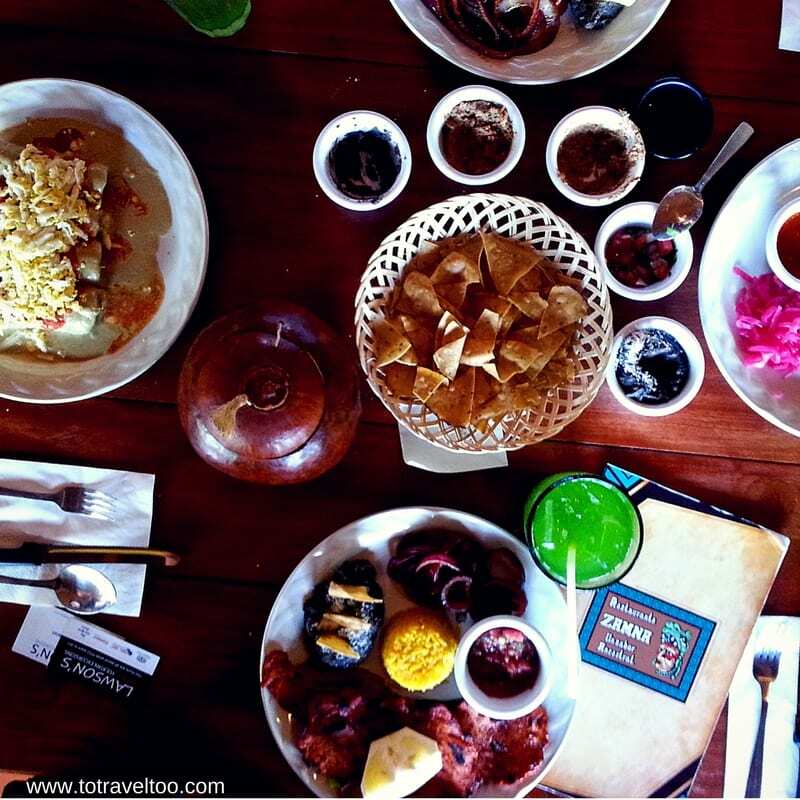 Our comprehensive guide on what to see, what to do, where to eat and where to stay. 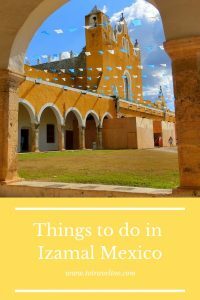 We had heard so much about Izamal “The Yellow City” and had seen some stunning photos of this unique colonial town in the Yucatan Mexico, we just had to go and see for ourselves what all the hype was about. With the assistance of Visit Mexico and Yucatan Turismo who assisted us in planning a 4-day itinerary, we set aside an afternoon to visit on our return from Chichen Itza. 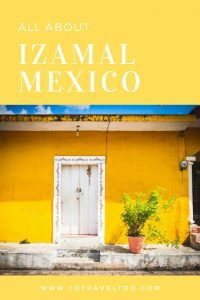 Our quest was to find out all about Izamal and “Why Izamal is Painted Yellow?” We got our answer. Since 1000BC Izamal was an important Mayan pilgrimage site. The Sun God known as Kinich Kakmo was the deity that the Mayans paid their respects to. During that time not all of the houses were painted in yellow but in pastel colours instead. 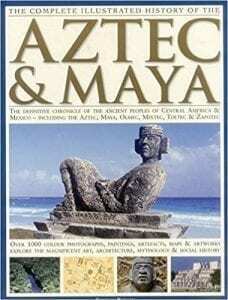 Before you travel to this part of Mexico some historical information on the Aztec and Mayan people might assist. We found our research assisted us in understanding this area of Mexico, its people and its sites. Now that we had the answer to our first question, our next was “why Izamal was so important for religious pilgrimages”? There are two theories. During AD300-600 Izamal was an important pilgrimage site in the Northern Yucatec Plains as well as being the biggest city in the area. 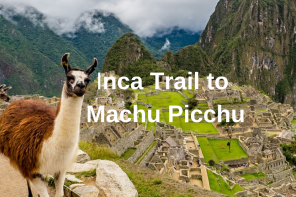 The Mayans built temples for their Gods – Itzamna and Kinich Ahau. As it was the biggest city around Mayans flocked to worship their Gods during their festivities and annual rituals. The Izamal Convent was constructed over one of the Mayan pyramids by the Spaniards in 1553. It took over 8 years to complete the building. On the altar of the Izamal Convent is ‘Our Lady of Izamal’ image which was brought over from Guatemala on the order of the controversial Bishop of Yucatan Fray Diego de Landa. Legend states that as soon as the image was installed on the altar miracles began to occur. Some say that the miracles are due to the Mayan Deity Itzam Na – God of Healing whose shrine was constructed on the same site. Could it be a combination of both? We will never know the answer to that. Sitting at 34m high the Kinich Kakmo is only a few blocks walk from the main square of Izamal at Calle 23 between Calle 27 and 28. Kinich Kakmo was built in honor of the Sun God. Kinich Kakmo was built between 400-600AD. It measures 200m x 180m and the upper temple stands 34m high. This is one pyramid that you can climb in the Yucatan and we highly recommend that you do, the view from the top over the “yellow city” is really worth the climb. You will need to be careful as some of the steps are uneven. 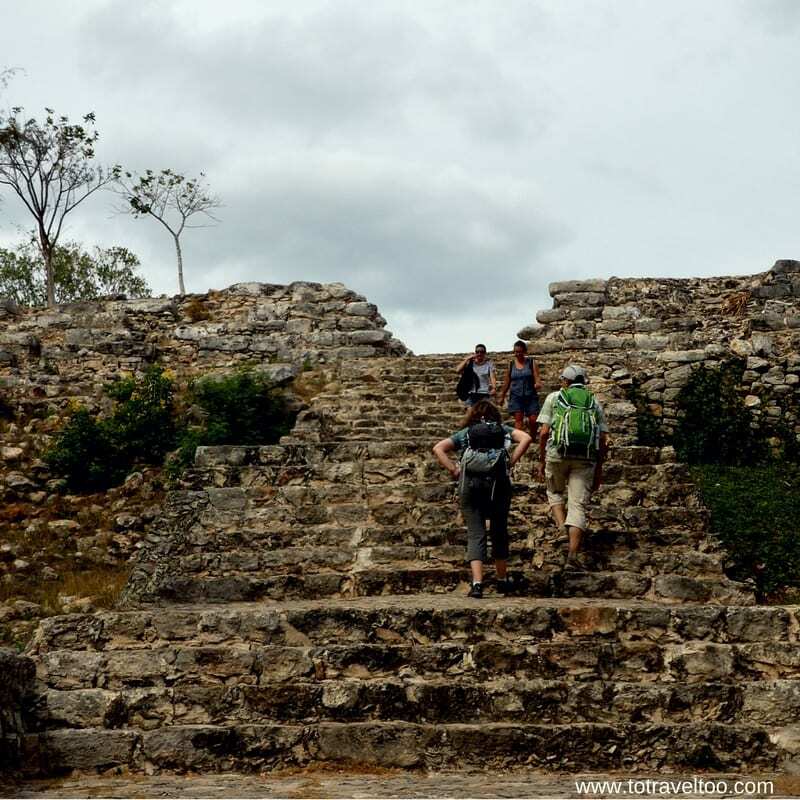 It is not a busy tourist attraction for a Mayan site so you may find that you have it all to yourself. 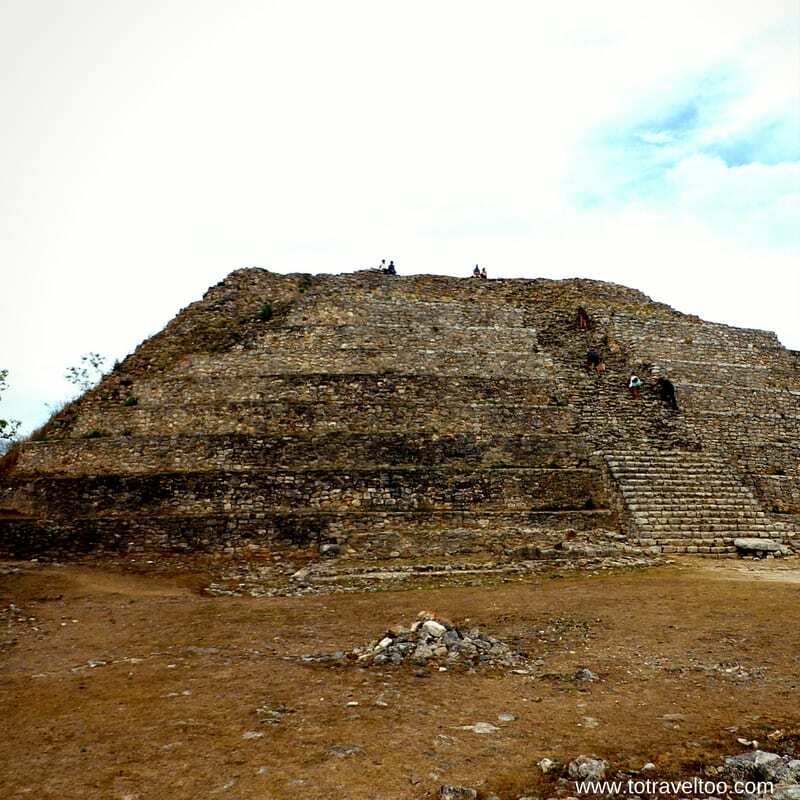 Apart from Kinich Kakmo, there are a few other pyramids around Izamal to visit. You can wander through the grounds for free. 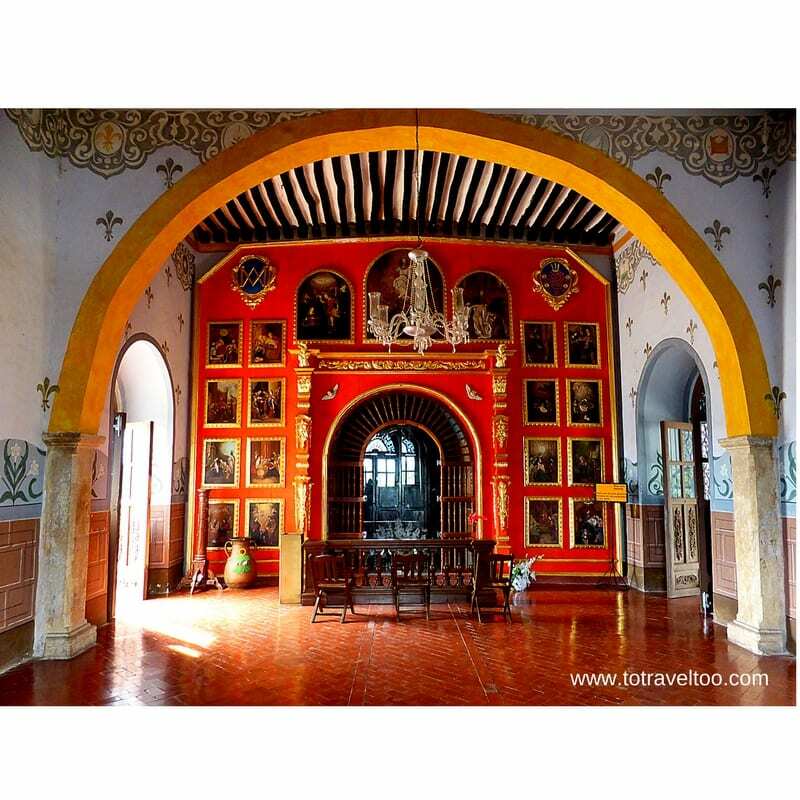 There is a small fee to be paid to enter the hall inside the convent which is dedicated to the miracles of the Virgin of Izamal. It is worth the small fee and it assists in the upkeep of the hall. In a glass cabinet within the hall are items from the visit of Pope John Paul II. From the 1st to the 8th of December each year the main pilgrimage to the Virgin of Izamal takes place. During this time all the bed and breakfast accommodation, hotels and Airbnb properties are booked out well in advance. Pilgrims are seen sleeping in the halls of City Hall and the convent and even in the park as the town runs out of accommodation. During this most important holy week you will see pilgrims climbing up the stairs of the Izmal Convent on their knees. Masses are held during the day and night. At night there are firework displays and bands playing in the square. Izamal was awarded the title of Pueblo Magico in 2002. 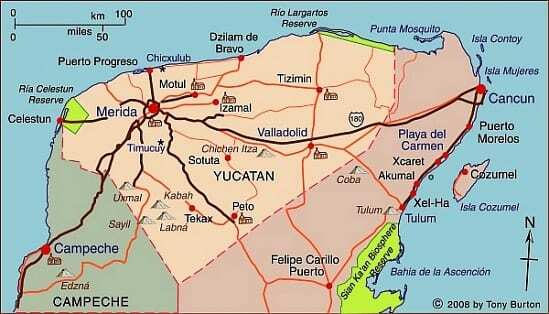 In total Mexico has 35 towns designated Pueblo Magico and the state of Yucatan has 2 of them – Izamal and Valladolid. Pueblo Magico towns are designated because of their historical, cultural and natural treasures that are considered to be ‘magical’. Izamal is on the tentative list of UNESCO World Heritage Sites in Mexico. It is a lovely photogenic town just to wander around, if like us you will return home with hundreds of photos of yellow buildings. 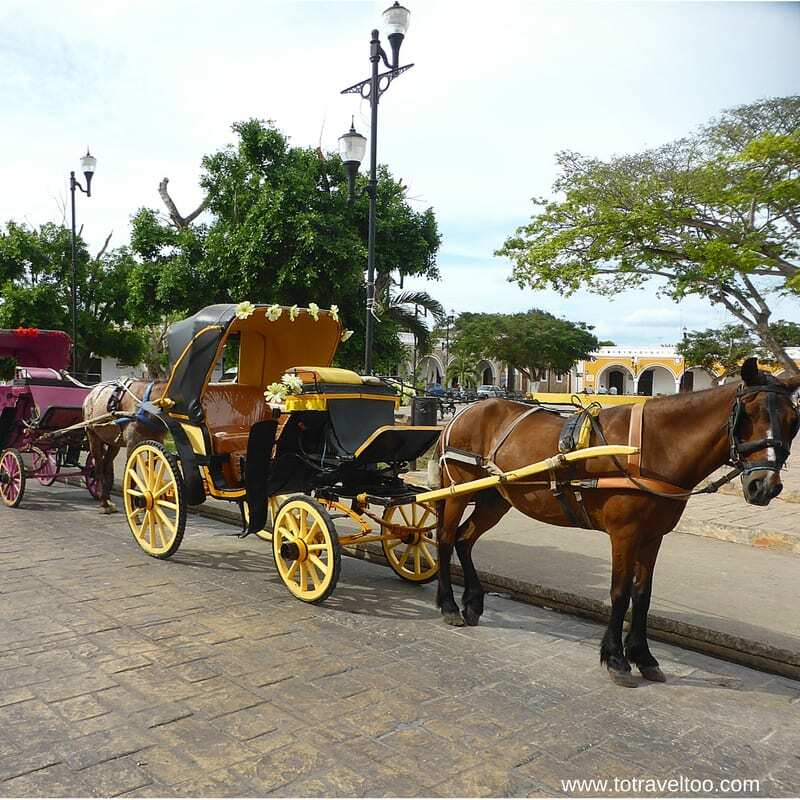 There are antique horse drawn carriages that will take you around the city, over its cobblestoned streets visiting the two Yucatan pyramids – Kinich Kakmo and El Conejo. If you like mezcal you are in the right place as Izamal is known for its locally distilled mezcal made from the hearts of the agave plant. 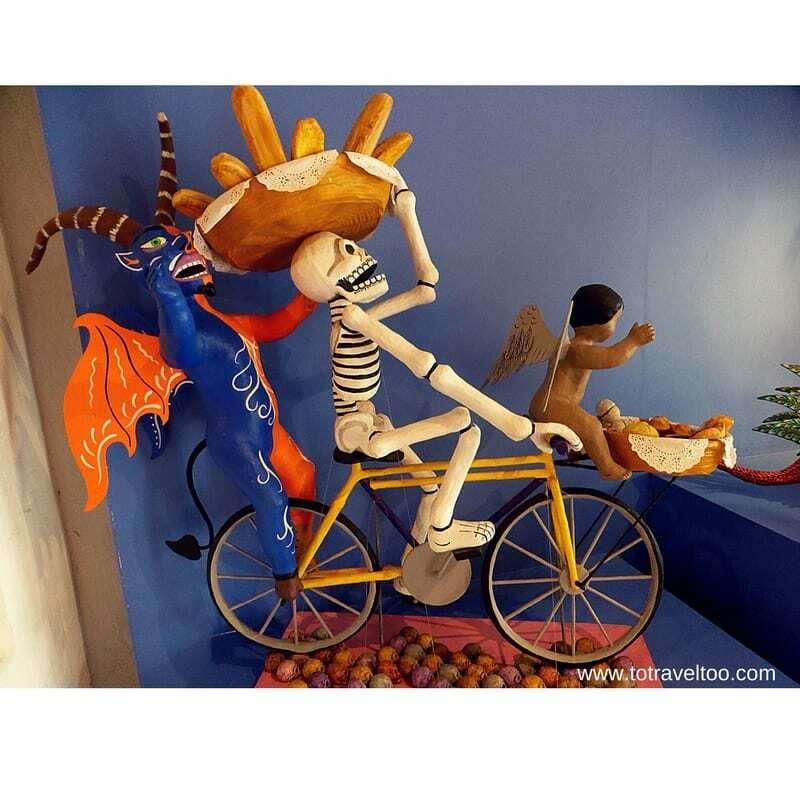 On April 3, May 3, August 15, and December 8 Izamal holds major festivities. Remember to book your bed and breakfast and hotel accommodation well in advance. Behind the convent on Calle 33 is the statute of Fray Diego de Landa, the Yucatan’s controversial Bishop. Opened in 2007 and located in front of the main square the Museo de Artesanias shows a large variety of locally made Mexican handicrafts. The colonial building has high ceilings, frescos, a cafe, a spa and an open courtyard for all to enjoy. There is a small entrance fee to be paid. 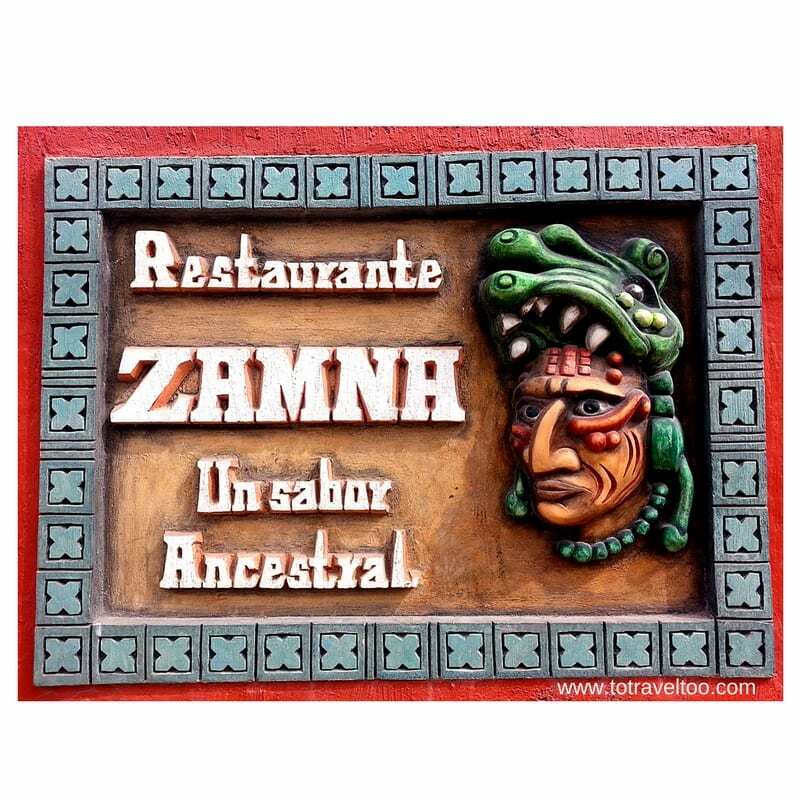 We can recommend the Zamna Restaurant for top local mexican cuisine. 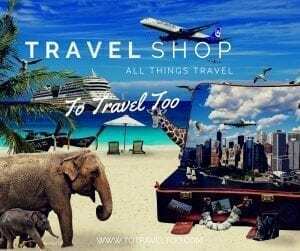 We have enjoyed our travels throughout Mexico so much over the 9 months we spent there, we have written a guide on where we travelled to with the latest information on where to go, what to do, where to eat and more tips and tricks. Our guide covers many destinations throughout Mexico including the Yucatan Peninsula, Ajijic, Oaxaca, Puerto Escondido, Morelia and many more. The Yucatan area is such a vast region of Mexico. 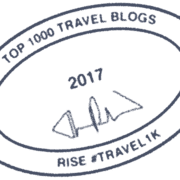 We have included some of our favourite hotels that we have stayed in for your information and planning. 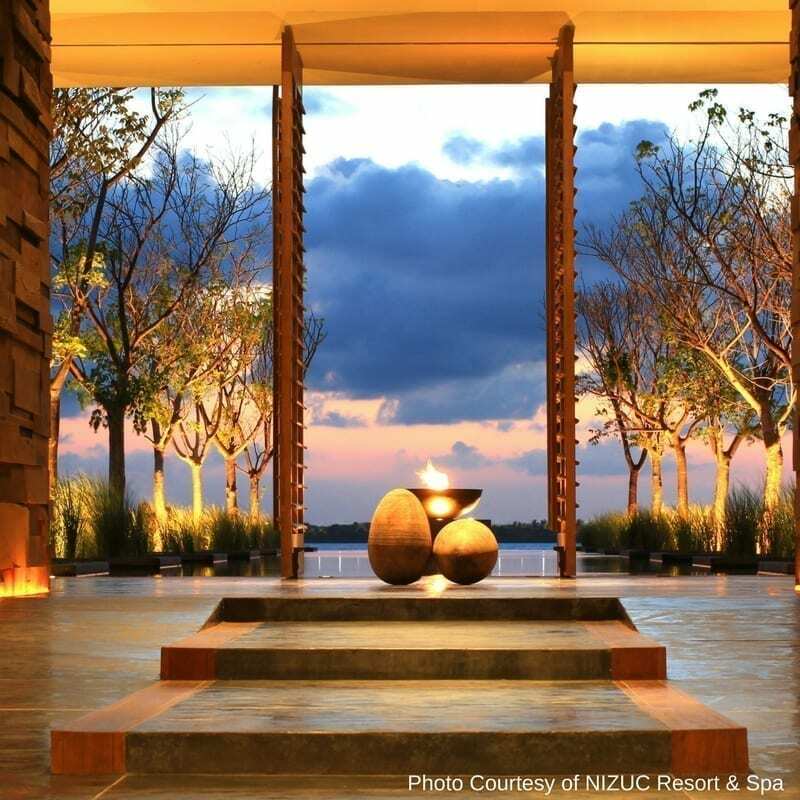 In Cancun we stayed at the Nizuc Resort and Spa. This was a perfect hotel for us to relax and unwind in after our travels throughout the Yucatan Peninsula. A hotel that we could only describe as a ‘truly zen experience’. 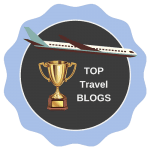 Our recommended list of the top 10 Hotels in Cancun, you can check out their latest reviews and availability. In Merida we stayed at the Wyndham Hotel. The Wyndham Hotel was well located to base yourself in Merida for visiting the many tourist attractions of the Yucatan Peninsula. The swimming pool was welcomed after a long day of sightseeing. 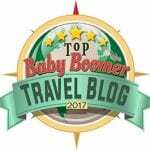 When is a good time to visit the Yucatan Peninsula? 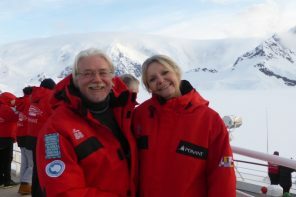 The winter months between October and April are the best times to visit but it is also high season for travellers. You can expect queues at the busier sites such as Chichen Itza. The summer months between May and September, are hot and humid with rain showers during the day. For the latest airfare deals click here. 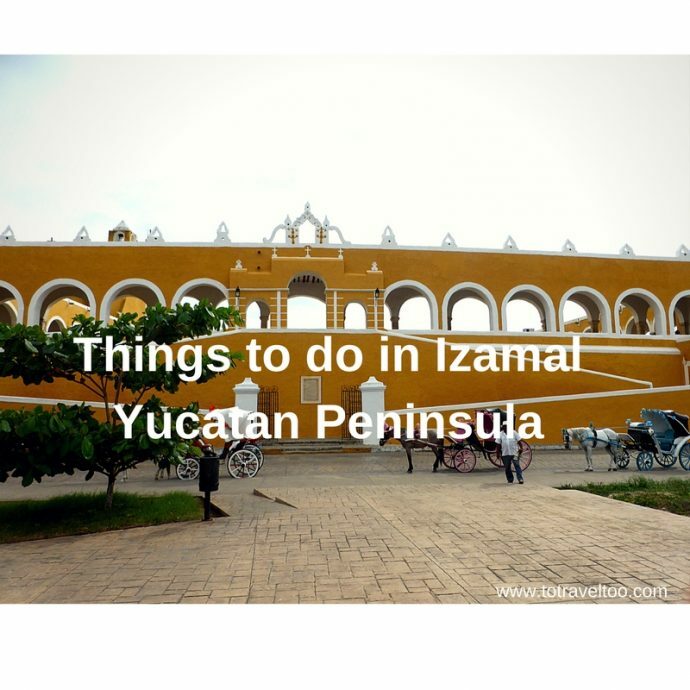 If you enjoyed our article on Izamal feel free to share it with your family and friends. If you require any further information please get in contact with us at [email protected] and we would be glad to assist. 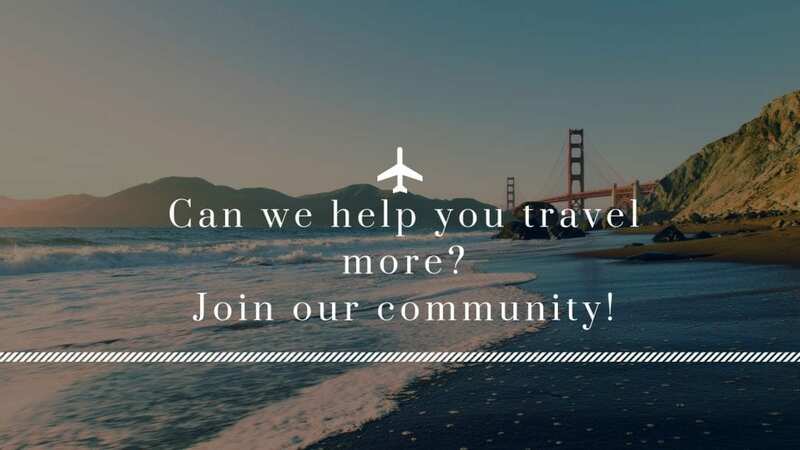 We always recommend that you take out travel insurance when you travel, our preferred global insurance company is World Nomads. If you are booking your travel insurance and you are based in Australia click here for the latest quote. Did you know that you can now download our article and take it with you offline when you visit Izamal? Click our link below to find out how. Our thanks to Visit Mexico and Yucatan Turismo for assisting us in visiting the state of Yucatan over 4 days. Complimentary transport was provided for our visit to Izamal. Disclosure: Certain links in this post are affiliate links. This means that should you make a purchase via our link, we will receive a commission which will not affect the price you pay. 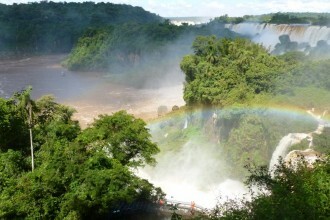 www.totraveltoo.com is a participant in the Amazon Services LLC Associates Program, an affiliate advertising program designed to provide a means for sites to earn advertising fees by advertising and linking to amazon.com, amazon.co.uk, amazon.ca. Amazon and the Amazon logo are trademarks of Amazon.com, Inc. or its affiliates. What a delightful way to spend a day! I’m putting Izamal on my Mexico wish list. Thank you for your comments. 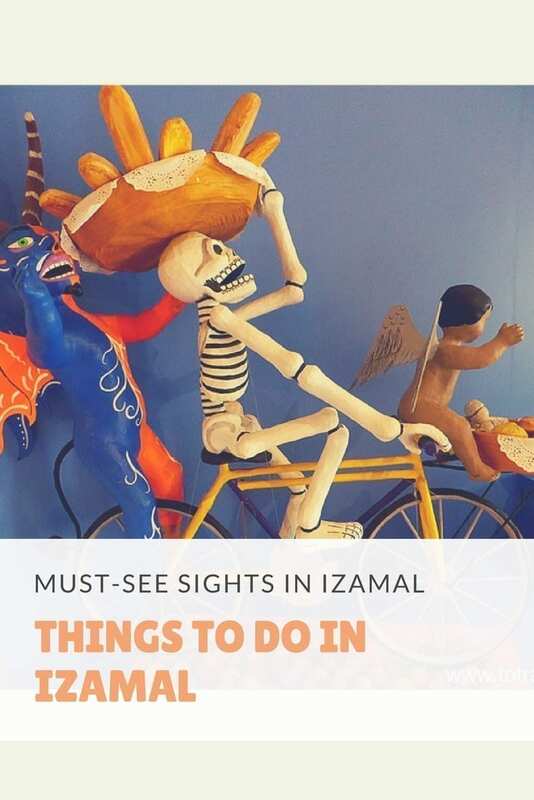 I would certainly put Izamal on your list. Great photographic opportunities for Simon! Thanks for your comments, really appreciate it! 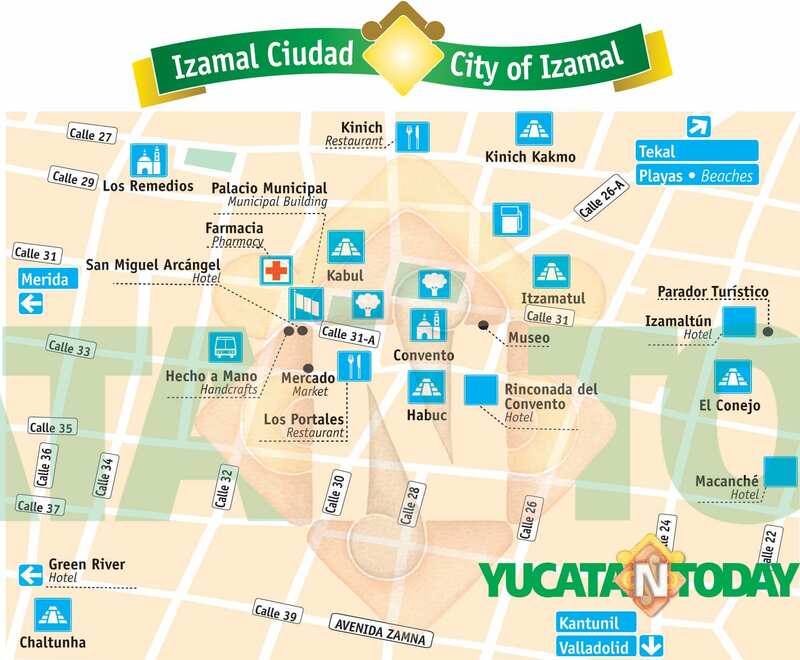 Was not aware of Izamal, so all this is new and fascinating information for me. Loved the story/reason behind it being painted yellow, and then again because of the Pope’s visit. The Museo de Artisanias looks interesting. I do hope the place gets listed on the UNESCO World Heritage Sites. It typically helps with tourism. Thank you for your comments. Izamal is definitely worth a visit. Thank you for your comments. It is a beautiful part of Mexico. 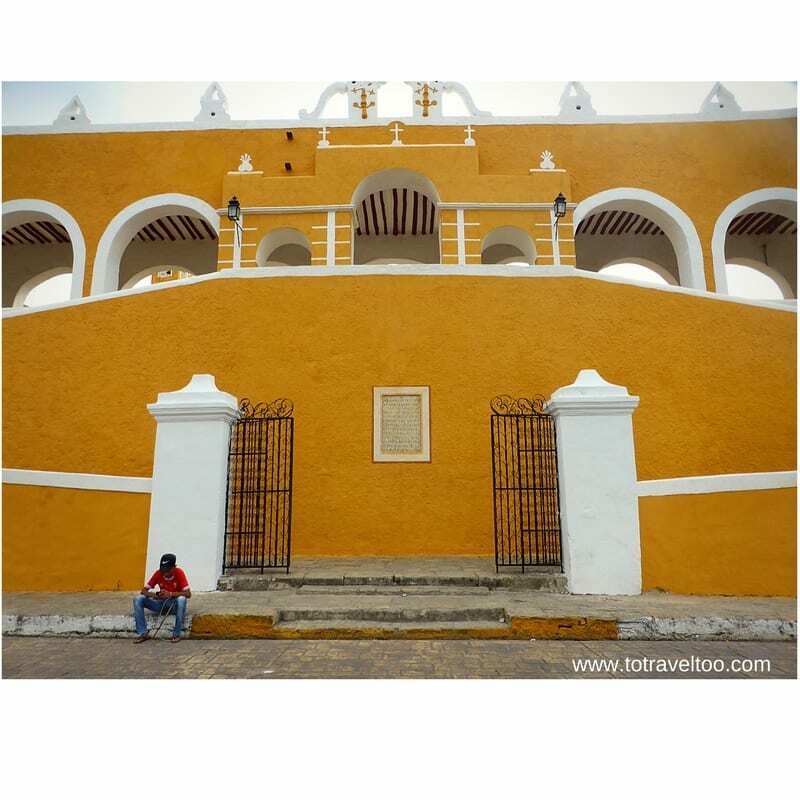 Izamal looks charming, and all those yellow buildings certainly are cheerful! It’s good to know that Kinich Kakmo is not very crowded with tourists. Great idea to take the horse-drawn carriage out there – I’d like to see the view from the top. Thanks for the tips! Izamal is charming and well worth a visit. Thank you for your comments. 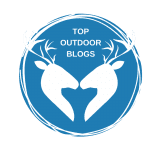 The details you provide about a place makes it easy for readers to imagine the place well and make them able to plan their visit to that place. Izamal is the example here. 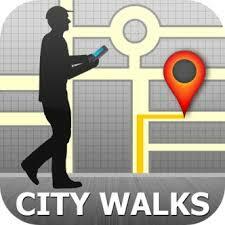 You have provided all details one need to know about visiting this Yellow city. I will surely keep isit Mexico and Yucatan Turismo in mind while visiting this place. Thank you for your comments. Izamal and the Yucatan Peninsula is such a beautiful area of Mexico. Thank you for your comments. I want to visit Jaipur hope I can get there one day and hope ou can visit Izamal. I have heard about Izamal and I was planning to visit anyway during my Mexico trip. However, I wasn’t aware that there are so many awesome things to do over there. Your pictures look absolutely amazing too and are making me want to pack and go there right now! Thanks for your comments. No time like the present to go! What a totally interesting thing to learn about why Izamal was painted all in yellow! How fascinating that it started with the Sun God, and then led to a makeover of the town in the 1930’s. I do love that it is bright yellow color, such a happy color! And how fascinating it would be to visit Kinich Kakmo with such a looooong history. Ohh if only the walls could talk, I could only imagine the stories it would share. Thank you for your comments. If only the walls could talk!